Hi, my name is Yury Gromov, i'm an artist from Russia and also i'm a big U2 fan. 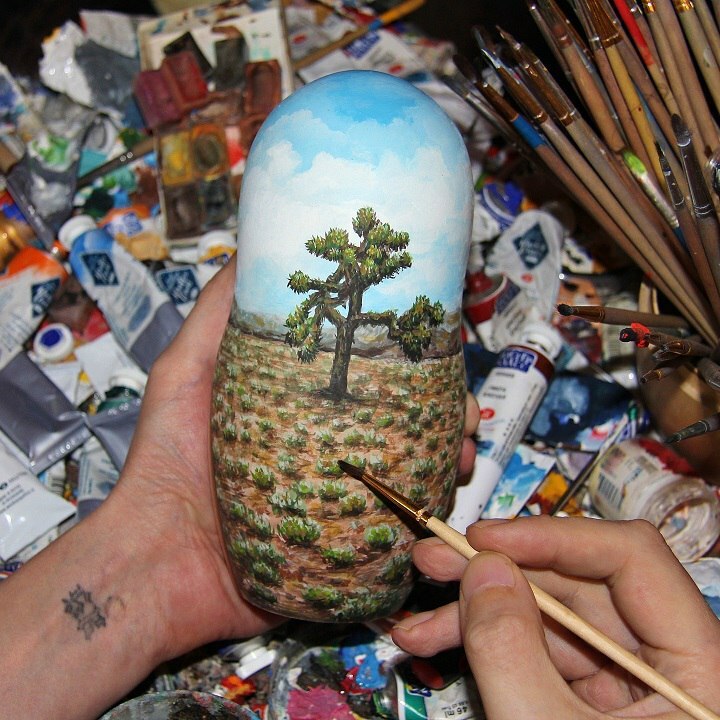 I made a special Russian matryoshka doll to celebrate 30th anniversary of U2 The Joshua Tree album. This spring me and a few of my friends are going to U2 concerts in California (San Jose and Pasadena) where we will try to present this martyoshka to the band. See you on the road and in line at the stadiums! Hi Yury! These look amazing! I wish I could have a set! If you're lucky, wait outside the stadium before soundcheck, I would say between 1-3pm, and see if they stop by to say hello to fans. I'll be in the Seattle, Santa Clara, and LA shows! Hope to meet you! Awesome video. Maybe a moderator here can help you. Are you the same guy who did the matrioska for the 360° tour and were at the party in Moscow?